There are several metaphors for tenacity—bulldog tenacity is one of them. However, none are quite as beautiful as a hummingbird. Known for symbolizing beauty, joy, eternity, and infinity, with their rapid and tireless wing movement they also symbolize tenacity. Unlike other birds whose flight is powered by downward strokes, the hummingbird use upward strokes too and their wing movement forms an infinity symbol. To live in the present moment and take notice of all the beauties in life. Strive to accomplish that which may seem impossible. To find purpose and meaning, even in the most mundane tasks. 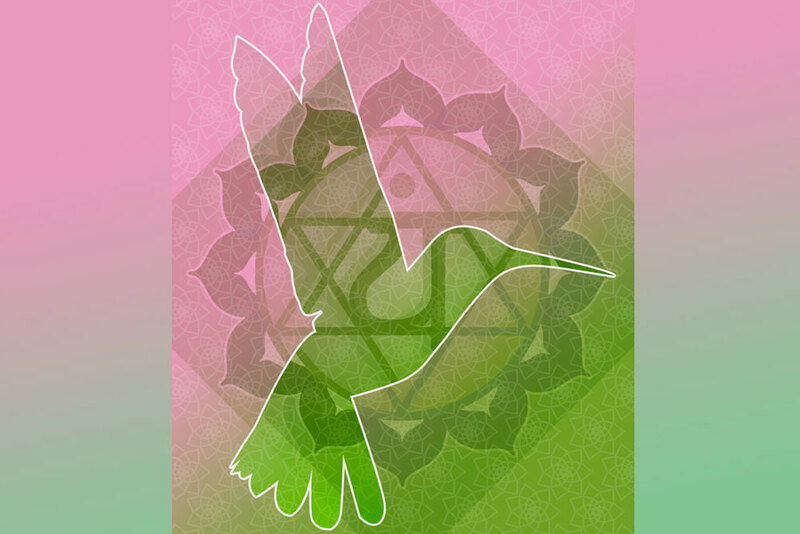 The importance of having an open and balanced heart chakra. To handle the twists and turns of life with grace and dignity.